Okay, try wait. This truck is on the road. It’s stopped at a light. I come up behind it. I am also turning left. How can I not follow it? And what about after we turn the corner? Do I have to go a different way so that I don’t follow it? 2 Responses to June 10 – Huh? We have those signs on trucks around here, but usually they also have a warning telling you to stay back 200 feet or something like that. I always figured it was so the company could refuse to pay damages if a rock dropped out of a gravel truck or something and broke your windshield. 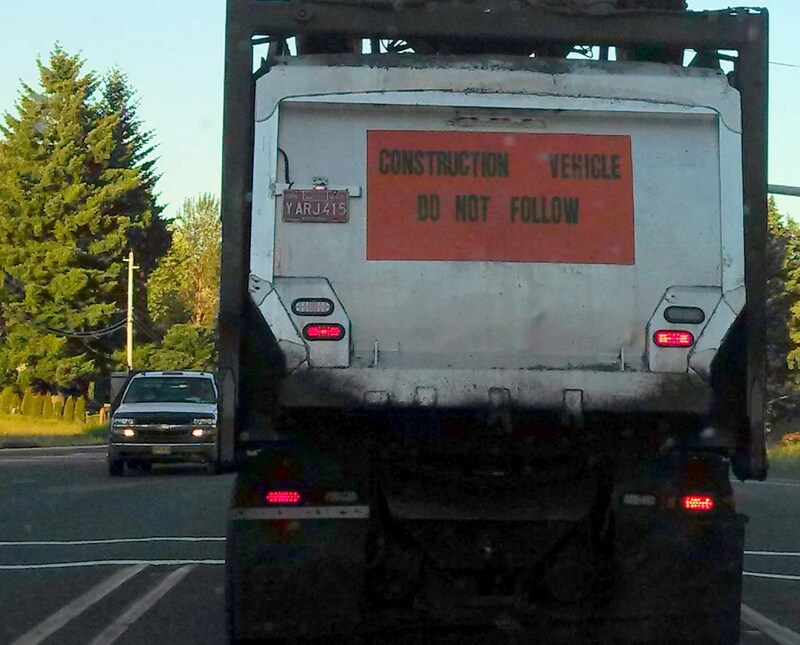 But yeah, how do you “not follow” a truck on a street you have to go down? And how do you stay back 200 feet in heavy traffic?